We have been talking about investment for the past couple of months so how about capping it off with something about retirement investment? The worst way to live out your post retirement era is having to depend on your relatives to take care of you, being forced to work while in your 60s or being unable to afford a vacation. Retirement is a time for you to relax, travel the world and spoil your grandchildren with expensive gifts. Let’s look at 5 basic rules for retirement investment that will ensure your retirement is a time of pure joy and excitement. Generally, people use different options to save for their retirement. You have the option of your 401(k) which is a contribution made by you and your employer towards your retirement, or you can invest like many other people do – through brokerage firms. The most important thing is to learn as much as possible about the options available to you so that you can make the best investment decisions. Life is unpredictable and you are not guaranteed to have a steady source of income all through. It is therefore important to learn to start saving for your retirement early. The beauty about starting early is that you save up more and your investment gains more returns. Starting early also means that you will learn early about investing and become better at it as time goes by. So do not wait too long to start. For you to invest wisely for your retirement, you need to understand the math around your cash flow. It is therefore important to learn to calculate money that comes in versus money that goes out. This enables you learn how much you are worth in terms of net worth. You should not be making guesses about your cash flow, you need to know precisely how your money is made and spent. This will advise how you make your investment decisions. In life, people are mostly led astray by emotions like fear or excitement. To be a good investor especially when it comes to financing your retirement, you must learn not to be influenced by these emotions. Be sure to make calculated and deliberate investment decisions. Last but not least, you must learn to ask for help. You need to acknowledge that there are people with more experience than you in matters of retirement investing therefore, ensure to seek all the help you need. 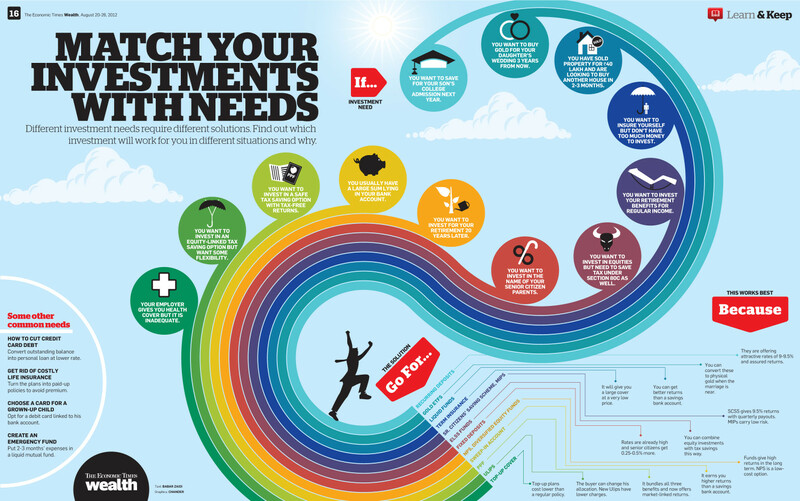 Sound investment decisions will definitely improve your chances of a comfortable retirement therefore, you need to invest a lot of your time and energy in this venture.These steps are but guides, you need to research and go deeper to get better results. We would love to hear your thoughts about this article. Over the past couple of months, we have been sharing ideas on how to grow your investment. We just thought it a good idea to include the 401(k) in our investment series. We know that many of our readers will be interested in knowing how they can maximize the value of their 401(k). If you work for an employer who offers you a 401(k) plan, you must learn and be willing to diligently participate in the plan. It is quite simple, the sooner you start contributing to the plan, the sooner your money will start earning returns on it. This is an investment that rewards you depending on your commitment. The 401(k) plan simply involves money being directly deducted from your salary and deposited to your 401(k) account. As an investor, if you think of it as so, you are free to select the percentage of your salary to contribute. Often, your employer will always match your contribution and this basically means you have doubled your investment. How easy is that? Be sure to go for the maximum match option available. You must make it a habit to plan your portfolio. Your 401(k) is essentially part of your investment portfolio therefore you need to do proper planning in order to reap maximum benefits. Be sure to start your investment at a very young age, build on your experience over the years and be aggressive with your stock choices. You will enjoy the benefits. We all have heard that it is never a good idea to put all our eggs in one basket. This is a concept that is very relevant when it comes to investment portfolios. Your 401(k) is basically your retirement package therefore it is a good idea to spread out the risk among different investment options. Best case scenario, all your investments may actually end up paying off. Your 401(k) is your investment and most likely your retirement plan therefore avoid at all costs borrowing on it. You are more likely to spend the loan money on things that will not benefit you in the long term hence losing your 401(k). Be a savvy investor, and stay away from loans. Your 401(k) is your journey to a happy retirement therefore do your best to take good care of it and maximize on its returns. In our previous post, we highlighted ideas for short term risk free investments which we believe you found to be very useful. We felt it prudent to follow up with tips on how to double your investment. We know that it is always an investor’s dream to at least double their money in an investment. This is a dream that many investors don’t get to achieve for one reason or the other. However, things will change today! We take a look at 4 important tips on how to double your investment. Seasoned investors in the finance sector know that nothing good comes quick. It is advisable to diversify your investment portfolio putting your money in a number of non-speculative ventures such as stocks in a blue chip company and treasury bills. This investment will obviously not double within a year but in the long run, it will get there. There is a tendency by many investors to panic-sell their stock at the slightest feeling that a stock they have invested in will plummet. This may actually be the best time for you to invest and increase your opportunity to double your investment. Generally, companies go through a financial slump but as long as there are signs this company will recover then you better hold on to your stock and even increase them. There is always a faster way to get to your destination but it is always dangerous. In the same breath, there is a much slower way to get there and it is always safer. Investments pretty much work the same way. You need to consider investing in safer bets such as zero-couponbonds. In as much as they may take time to double, you are guaranteed your investment will eventually get there. This is where we say if you want to play with the sharks then you have no option other than learn how to swim, and swim well. At times, the only available way to double your money fast is through taking a risk. Be speculative, go for the bubbles, make your money fast and get out. Be sure to do sufficient homework because there is a very high probability of losing your money. All in all, it is important to know that the best things come to those who wait and that is why it is said that patience is a virtue. Never be in a rush to double your investment because you could equally lose it all. Take your time do your due diligence and always take the safer options. We welcome your feedback on this article. We all dream of being financially secure and most of us often wonder how we can achieve this security in the shortest time possible. Keeping this in mind, we will get right to it – respecting the spirit of quick returns. Got it? Here are top 6 simplest short term investment options. Credit card cash back rewards are an opportunity for easy and quick money that most people do not know about. It is often not a direct cash investment but rather a benefit you get when you spend actual dollars. It is quite a lucrative offer if you think about it. If you are looking for a quick and risk free way of getting a good return out of your money then you need to consider a money markets account. Currently christened as the savings account on steroids. In this type of account, it is the amount of money in your account that determines the return not the length of time you have invested the money. Online savings accounts currently offers some of the best risk free returns in the market. The beauty is that all you have to do is deposit your savings into the account and watch it earn interests. The interest rates are not that high but since it is risk free, it is worth it. The beauty of a Certificate of Deposit (CD) is the fact that you have the freedom to determine the length of the investment period.The bank will offer you a selection of terms and it is up to you to pick the one that works best for you. The size of the return is fully dependent on the terms you will agree on. As is the case with the online savings accounts, you can also get certain financial benefits from using online checking accounts. The beauty of checking accounts is that you are not limited in terms of withdrawals you can make. The only disadvantage is that the interest rates are quite low. But, that is generally what you get with low risk investments. We know there are plenty more short term investment options available and we would appreciate if you could share your ideas for the benefit of our readers. Please share your input through our feedback page. To start us off, let’s declare that 2018 will be the year to make your money work for you. The number one way of securing your finances is through investing in viable ventures. In finance, especially personal finance, it is advisable to invest any extra money you have, or money you can afford to squeeze out of your income. We know that figuring out where to put that extra money with the intention of multiplying it may be challenging because most of us are not finance or investment experts. Here are 4tips for you to consider in 2018. To some, this may not seem like an investment however, it is the first logical thing you need to do if you are going to invest successfully. Debt is not your friend and it will often affect your ability to invest therefore, pay off all your credit cards so that you can have extra money in your hands to invest with. You will have more financial wiggle room when you are not tied down by debts. Currently, the stock market is generally doing great therefore investing in stocks is a good idea. However, there are signs that a recession is coming therefore you need to prepare for this. Playing defense will not involve selling all your stock and exiting the stock market, it actually means choosing stock that is less prone to the effects of a recession such as dividend growth stocks. These types of stock are known to withstand recessions in the stock market. Thanks to Trump, financial stocks have been on a growth trajectory with the sector currently boasting of an average of about an 18 per cent growth since he was elected. You could check out how the Bank of America and JPMorgan Chase have been performing to get a clear understanding of what we mean. It is interesting to note that financial experts project a further increase in the value of such stock owing to the favorable government regulations that Trump is proposing to introduce. This is definitely a good place to put your money. This is a bit controversial because a number of investment and financial experts believe that your home cannot be regarded as a good investment. This may be true in the sense that if you invest let’s say $300,000 into something like a stock index fund, the return will be much higher over a certain period of time in comparison to the value of your home. However, investing in your home has its own set of benefits. For starters, money you would have allocated to paying rent now becomesa form of savings. Secondly, most of us buy homes with borrowed money therefore, the 3 per cent annual price gain will significantly go up therefore increasing the property value over time. These are just 4 tips and we are sure there are many more. We would love to hear more from you through our feedback page. If you have been following our previous posts which we believe you have, then you know that credit unions are similar to banks, however just smaller and mostly community based. Here, we take a look at 5 of the main differences between the two. Credit unions are purposefully established for the benefit of members therefore their structure when it comes to interest rates has to favor the members. This therefore means that interest rates will be much lower in comparison to banks which are mainly profit making institutions hence they are purposefully meant to serve the best interests of the shareholders.Banks typically charge interest rates that are between 4 and 10 times higher than what you would pay in a credit union. However, when it comes to online banks, they are believed to offer more competitive rates when compared to credit unions. As we have established, credit unions generally offer similar products in the finance sector as compared to banks albeit at cheaper rates.If you are looking to take a car loan, a mortgage, a personal loan or a credit card then your credit union will offer you a better deal in comparison to your bank. Their percentage points on these products are at least two points lower. Credit unions are known to have fewer fees when compared with national banks. As a matter of fact, most credit unions will not charge any fees for withdrawals, checks or electronic transactions. In addition, most accounts whether checking or savings will not require an account servicing charge or even a minimum operating balance. However, when it comes to banks, these costs are all inclusive and may increase your bank transactions by hundreds of dollars. As we have established, banks are primarily business ventures with a loyalty to shareholders. This means that they are led by a desire to maximize profit therefore, services extended to the customers tend to be higher. Credit unions on the other hand are non-profit ventures established for the benefit of the members hence their loyalties are first to its members. This means that services will often be customer friendly. Because of the small size of credit unions and the fact that they are community based financial institutions, the services they offer tend to be more personalized. In most cases, tellers will get to know their customers by name, therefore treating them as though they are dealing with a friend. Banks on the other hand serve millions of customers therefore the probability that a teller will recognize you is minimal. In fact, most banks have introduced ATMs as a way of limiting interaction between the banks and is customers. It is therefore safe to conclude that credit unions are much better than banks. You ought to check them out. Credit unions are finance institutions that essentially do almost all what banks do. Through a credit union you can get access to a savings, a checking or amoney markets account, as well as access to a personal or a car loan, a mortgage or a home equity loan. However, these credit unions are often much smaller institutions designed to serve small communities of people. The process of choosing a credit union is somewhat similar to that of choosing a bank basically because you are always looking out for the financial institution that will offer you the best service, at the best rate and most importantly ensure your money stays safe. 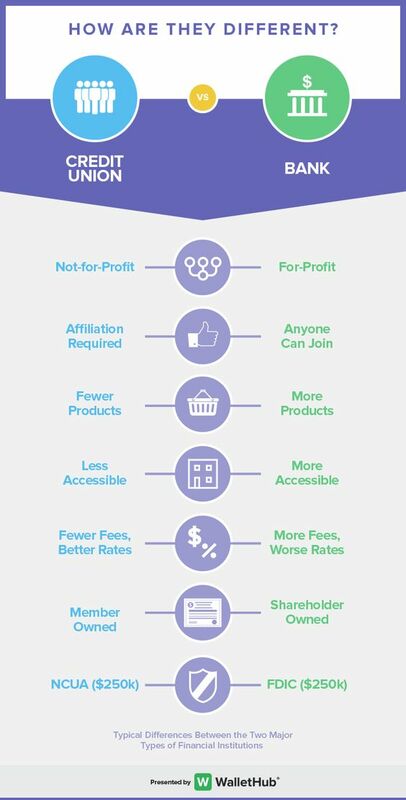 Here are the pros and cons of a credit union. Credit unions are primarily not for profit meaning their loyalty lies with the members who are the primary owners. This means that their services will always be structured for maximum benefit to the members. The disadvantage with this is that since they are not for profit, shareholders are not likely to get much value from their shares in the company in comparison similar shares in other profit making institutions. In comparison to other financial institutions such as banks, credit unions are much more flexible in terms of their assessments before granting loans to customers. They are also more human in the way they handle customer bank accounts. This is owing to the fact that customers are actually shareholders. The only challenge with this is that credit unions often expose themselves to risks of default on payment by members because of leniency when doing credit checks. Due to their small size, credit unions have a smaller branch and ATM network and this means they are only available in limited locations. This becomes an inconvenience especially if you need to access cash quick. However, some credit unions have solved this by incorporating an online portal that enables its members to carryout banking services from anywhere provided there is internet connectivity. These may be referred to as cons but in actual sense, they do not affect your bottom line. The financial services you get from credit unions are much more beneficial and friendlier as compared to other financial institutions. What we mean is, these are not really cons in our opinion. Let us know what you think about this piece. If you have ever tried applying for a loan or a mortgage at a bank or a credit union, you are familiar with the term – creditscore. This is essentially a number that is generated by a computer after making calculations based on your credit history to determine whether you are eligible for a loan. This number is what a lender will use to decide whether or not to approve your loan application or what type of loan to give you. Here are a few things you should be aware of about your credit scores. Basically credit scores are primarily meant to make decision making about lending easier for finance institutions. At the end of the day, a bank or a credit union needs an assurance that you will not default on the loan they intend to extend to you, so it makes sense for them to check your borrowing history to get an idea. Your credit score will paint a picture in terms of how much money you have borrower in the past and successfully repaid or defaulted on repaying. There are many credit scores currently in use each depended on the scoring model that is in use. The most common used score is FICO which is the preferred score for home and auto loans. This score looks at your debt amount Vis a Vis your past repayments. It is however worth noting that at the end of the day all these scores make the same calculations i.e. they try to predict whether or not you will repay the loan. Since some people may not have a credit history, there are alternative credit scores that seek to find other insight on you such as your payment habits when it comes to your bills such as utilities and rent. How can you find out what your credit score is? All US consumers are entitled to free credit under federal law therefore you can get your report from Experian, TransUnion and Equifax, which are credit reporting agencies. You could also ask for your score from your lender during the time you are making an application for a loan. Always be careful especially with regards to websites offering free scores because a good number of them may be scams or may offer you inaccurate information. All in all, the best way to maintain a good credit score is to avoid debt. We trust this was helpful information. By now you probably know that credit unions are some of the best places to save money as well as get loans. They offer a number of free services such as free checking, and have very competitive rates for their savings accounts as well as loans. A number of people have passed on the chance to open an account with a credit union because they feel intimidated by the process. Unknown to them is that the process is quite easy. Here are 3 tips on how to open an account. Registering for membership to a credit union is often the first step to joining the union. You cannot enjoy its benefits if you are not a member. It is easy though. Generally, members of a credit union usually have something in common. You may be eligible to join the union because your employer has a relationship with it, the credit union belongs to the community you live in or your occupation may automatically entitle you to membership. These are just some of the things that may make you eligible to join the credit union but keep in mind there are many more. In most cases you will have several choices to choose from so be sure to choose a credit union that you feel is offering products and services that suit you and at a rate that best suits you. Once you have made the decision to join a particular credit union, the account opening process is very straight forward. It’s as simple as walking in and filling out an application. Just like with any other application for a financial account, you have to provide your details such as Tax ID No. or your Social Security No., physical address, a valid identification document and of course the reason you think you are eligible to join. Membership starts the moment you purchase shares in the union which is done by a modest deposit. It mostly ranges between $5 and $10. Be aware that some credit unions may decide to check your credit history before opening your account. We told you it was easy. You are now a member of the credit union and you now have access to all the services. If you are employed, it is much easier and convenient to have your employer directly deduct your union contributions from your paycheck. This means it goes directly hence lowering your chances of forgetting to make your deposits. You can also opt for electronic payments. Be sure to set up text or email alerts. It is good to know that there are federally insured credit unions and these are the safest for you since your money is as safe as it would have been in a bank account. What has been your experience with credit unions? We would love to hear from you. Debt to income ratio is the calculation showing the portion of your monthly income thatis allocated to the payment of debts. This, together your credit score are the major factors that determine whether you will have access to a loan.This is the information that guides both you and the lender in figuring out whether you will be able to cover your monthly repayments. For you to be able to calculate debt to income ratio, all you need to do is sum up all your monthly debt repayments then sum up all your total monthly income then divide the two.Your monthly debt payments are essentiallyan aggregation of all the minimum payments from your income that go towards settling your loans. What is meant by a good ratio? The reason lenders insist on a good debt to income ratio is to ensure that as a borrower you can actually afford the loan you are applying for. It is in your best interests to be able to comfortably cover your repayments and avoid widening your debt burden. For most lenders, the debt to income ratio has been fixed at 36 per cent as a maximum, whereas others have it fixed at 55 per cent. It often varies from one lender to the other.It is generally advisable not to put too much strain on your debt burden by exhausting your debt to income ration. In the event your debt ratio is high, you have no option but to bring it down in order to be able to access loans. This can be achieved through paying off your outstanding debt, find a way of increasing your income, hold off on taking in more debt or plan to make a bigger down payment on your loan. Make an effort to have better control over your finances as the less debt you have, the more money you have available for other things like savings, education as well as retirement.